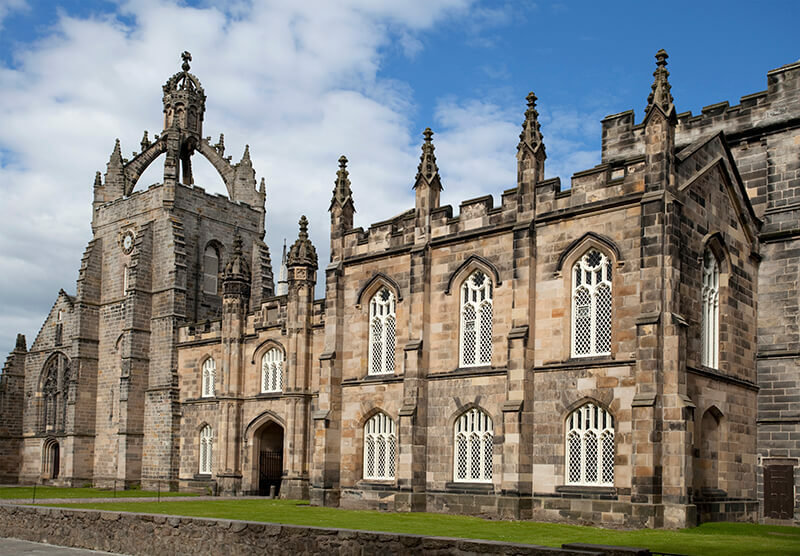 Hunter Construction has been providing student accommodation on Aberdeen University Campus for more than 18 years. Just a short walk or bus journey away from Aberdeen City Centre our flats are fitted with everything you need giving you the perfect balance of campus and city living. And, if you’re bringing your car with you, private off-road parking is available free of charge to all our tenants so you can get about on your own terms. Close to the world class sports facilities Aberdeen Sports Village and Aberdeen Aquatics Centre, living on campus also gives you easy access to a range of local parks, excellent cafes, the famous Bobbin pub and Aberdeen beach. There’s even a Tesco Express nearby for emergency milk. Hunter Court offers 60 secure en-suite rooms on campus just minutes from the library and Kings College with free, private parking. Each room has a single bed and come fitted with a desk, wardrobe and shelving. Each room has an ensuite with shower, wash hand basin and toilet. Hunter Court flats are five bedroomed with a separate furnished living room and kitchen. An onsite laundry is available with washing and drying facilities. Utilities are included in the rent and a refundable deposit is required at the time of booking. Please contact us to find out more about staying at Hunter Court for the 2019/2020 academic year. Coopers Court provides 65 secure and spacious non-en-suite rooms in the heart of Aberdeen University Campus within seconds of the library and Kings College. Private off road parking is available free of charge at the rear of Hunter Court, next door. The flats range in size from three to six bedroomed with a spacious separate furnished living room and kitchen. Each flat has one or two separate shower rooms and toilets, depending on their size. All bedrooms are furnished with a single bed, desk, wardrobe and shelving. An onsite laundry is available with washing and drying facilities. Utilities are included in the rent and a refundable deposit is required at the time of booking. Just bring your own bedding, crockery, pots, pans and cooking utensils. On site laundry facilities are available for residents of Hunter Court and Cooper Court. Wi-Fi, utilities, and private off-road parking are all included. A cleaning service for communal areas is also available. Contents insurance with Endsleigh is also included in the rent. Please click here for details. Hunter Construction has been providing student friendly accommodation in the heart of Aberdeen University Campus for over 20 years. If you require any further information please do not hesitate to contact Catriona, our Property Manager.